[R]emember how Amazon, e-books, and big-box emporiums were going to doom the independent bookstore? Sure, it hasn’t all been rosy for small booksellers, but while bibliophiles were busy predicting the book-pocalypse, Sherman’s Books and Stationery has quietly gone from a pair of stores in Boothbay Harbor and Bar Harbor in 1989 to six locations along the Maine coast. Come the new year, in fact, the brand becomes Sherman’s Maine Coast Book Shops, as it takes over downtown Damariscotta’s beloved, 52-year-old Maine Coast Book Shop. Owner Jeff Curtis knows a thing or two about honoring long histories — Sherman’s original Bar Harbor shop opened in 1886. 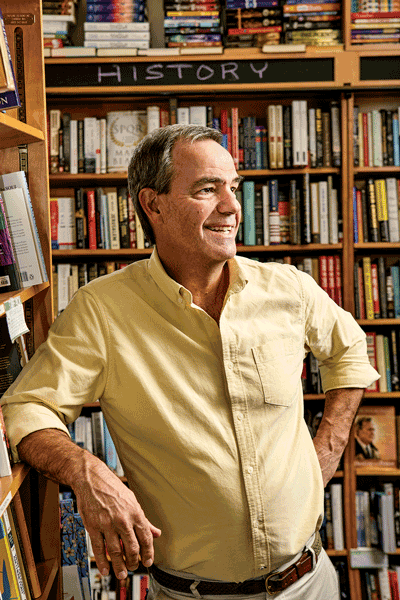 We asked Curtis about the state of local bookselling and how bookstores are like kids. Your parents bought the original Sherman’s in Bar Harbor in 1962 and ran it for more than 40 years. Did you always see yourself taking over? No, like a lot of kids growing up in Maine, I couldn’t wait to get out of there. So I went to D.C. and Portland and practiced law for a while, but then as I got older, I just started to feel the pull of life in a smaller community. Why change the name now that Sherman’s is coming to Damariscotta? That store has so many devoted customers, and the “Maine Coast” name just fits what we are already. So it seemed right to bring them together, and it really meshes with how we see this: as a merging of two stores. I actually got so excited about it that I jumped the gun with the new logo and started printing it on our bags and things before we’d even officially made the change. When you opened the Portland location in the Old Port in 2014, did you meet with skepticism from folks who thought indie bookselling was at a dead-end? Yeah, there were definitely people out there who were sort of like, what are you doing? For a while, people were very concerned about the effect of Amazon and the big stores, and so were we. But now people can buy anything online — and books are just one little item on Amazon’s inventory. And the struggles of the big chains have opened up space for the little guys to thrive. The Portland store has an almost antiquarian vibe; it feels like the focus is solidly on books, while Freeport and Camden share space with toys and gifts, and Boothbay and Bar Harbor are almost like general stores. 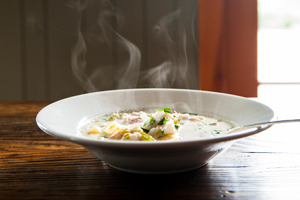 Now the Damariscotta store hosts a café. Is all that a conscious push-back against the feel of a chain? In some ways, that just develops naturally, and we do give each store and each staff a lot of control. People should be able to walk into two different stores and linger and browse and not feel like they’ve wandered into the same spot. 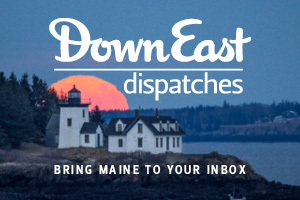 Do you think a lot about how to give each store a “Maine feel”? We make sure every store has a big section of titles about Maine, and we do a lot through our consignment program to get Maine authors on the shelves that might not otherwise have distribution. That’s the kind of thing a smaller store can do. So be honest, which location is your favorite? Oh, I could never answer that question. It would be like trying to pick one of your children.